The layout and physical resourcing of the classroom environment can significantly affect how students and teachers work within it. The following features are important to consider when setting up a classroom environment that promotes mathematical thinking and supports student learning. Children need to be able to easily move to and from work areas. The teacher needs to be able to move around the classroom to conference with individual students and offer assistance as needed. These practices are easier if an open layout of furniture is used. Desks or tables arranged in clusters allow children to easily work together in pairs or small groups with someone sitting across from them and also next to them. A comfortable meeting area is essential for mini-lessons and whole class discussions. This may be a mat or rug located either in a corner or the center of the room with resources used by the teacher for demonstration purposes, such as an easel whiteboard or chart paper and markers and enlarged manipulatives that can be seen by all students. Some teachers also like to designate a chair as the “mathematician’s chair” for students to use when presenting their work. 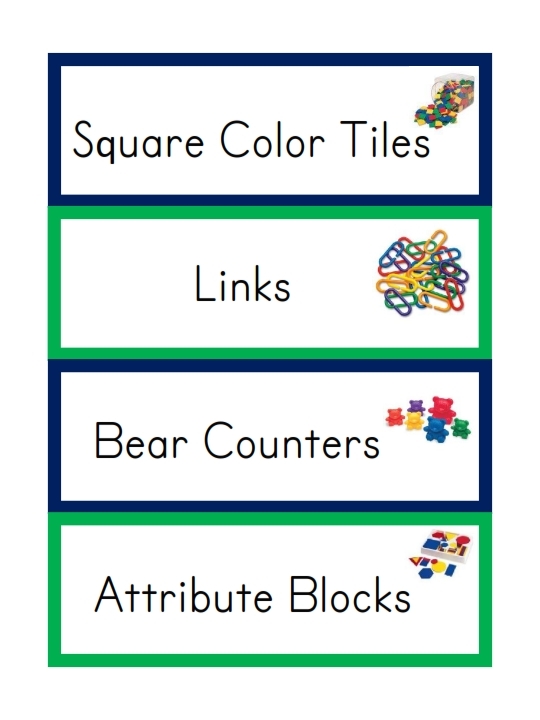 A clearly designated Math Center should be used to store math manipulatives, math games, and tubs of math literature. 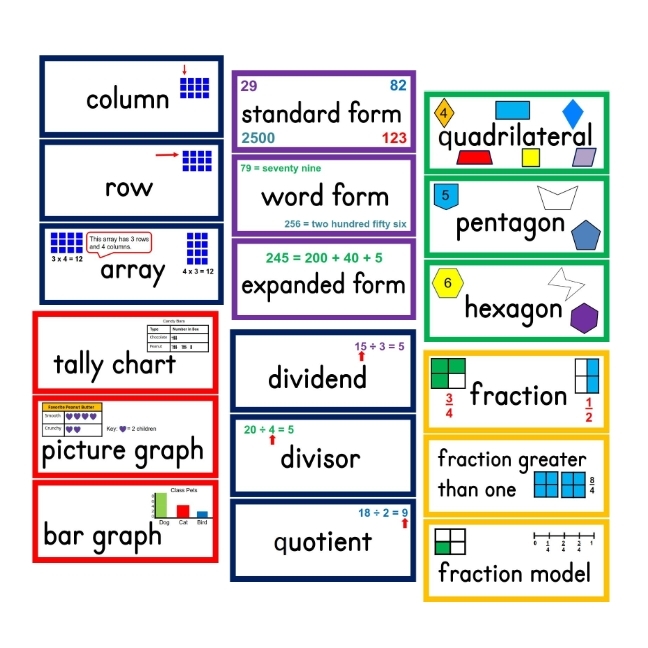 Math manipulatives can be stored in plastic tubs or baskets that are clearly labeled so that students can use these words in their writing. It is important that all materials are readily accessible so that students can collect and return them as needed. Students at all levels need to be able to use whatever tools they choose to solve problems, and they should make their own decisions about which material might help them solve a problem. 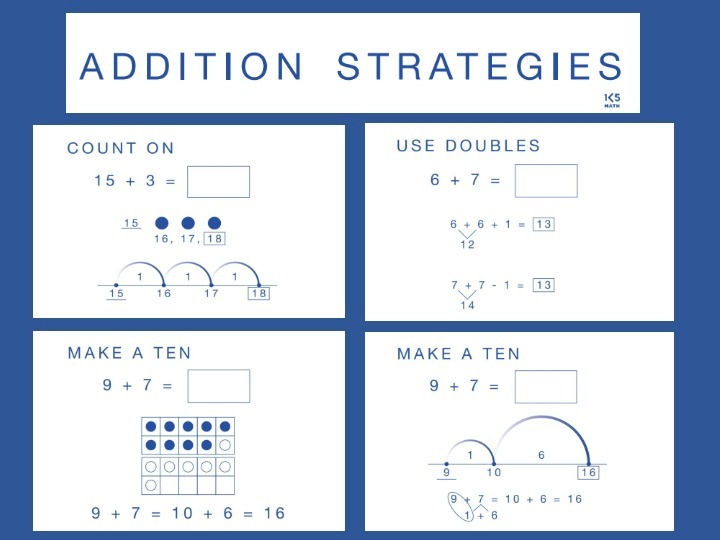 Different strategies necessitate different materials. Once students are familiar with how and where materials are stored, they should be expected to take responsibility not only for the daily cleanup, but also for ensuring that items such as recording paper are restocked at the end of each week. By assigning rotating pairs of students to this classroom job students can take responsibility for keeping the math center a well organized part of the classroom environment. 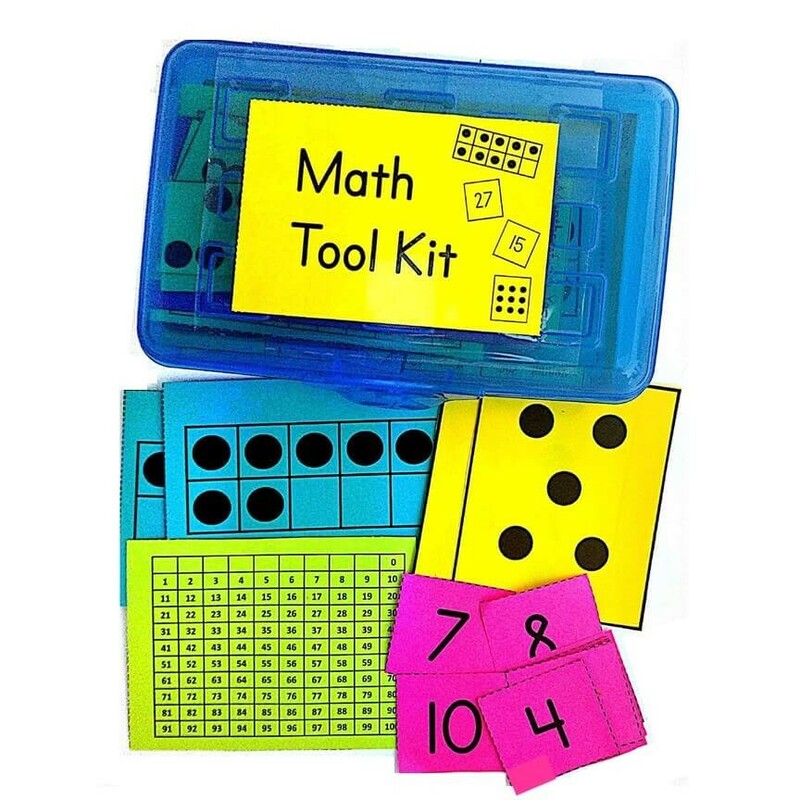 Providing students (or partnerships) with their own math tool kit is another way of ensuring that students have the tools they need on hand at all times. Assigning each tool kit a number and labeling the back of the tools stored in the tool kit with this number ensures that any tools found on the floor can be quickly returned to its assigned tool kit. 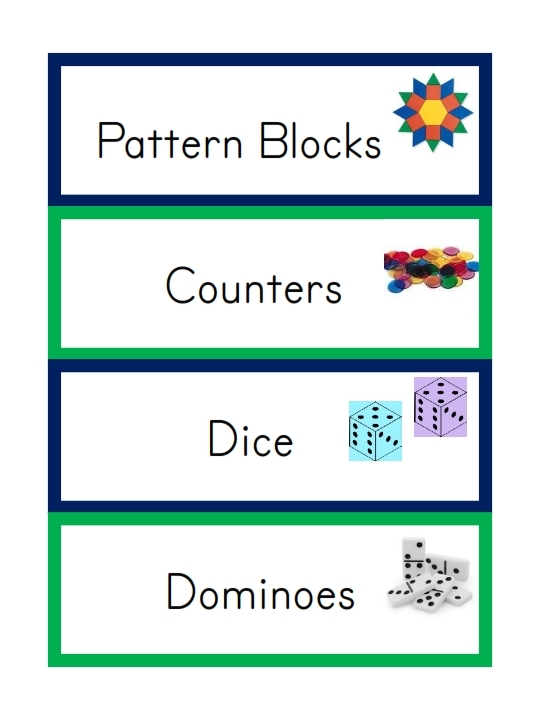 Download a FREE set of math manipulative labels here. The visual impact of the classroom environment is important. When we walk into any room, the first pieces of information we get about the environment are visual. Similarly, what is displayed on bulletin boards and on the walls of classrooms tell a great deal about the learning that is occurring in the classroom environment. The walls and bulletin boards of a classroom are like a museum. They offer a history of the students’ work and thinking and a source of information for students, teachers, administrators, and parents. These displays need to convey to students that their work is valued while enabling them to broaden their own ideas as they view the work of their peers. Displays of students’ work should feature strongly in the classroom environment and be changed regularly throughout the year. 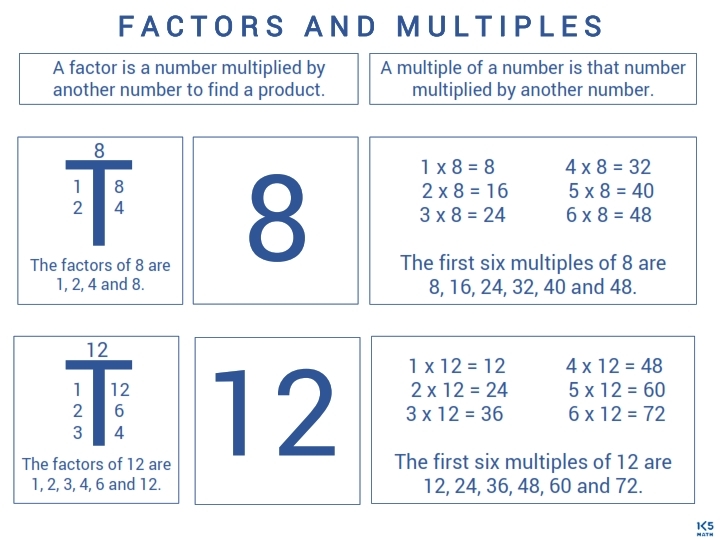 Teachers may display work samples showing different ways that children recorded their mathematical thinking for a particular problem, or select a variety of pieces to show the different tasks completed during a particular unit. In order to ensure that all students have their work displayed during the year teachers can keep a record of whose work has been displayed, or set up a bulletin board with a distinct space for each child in the class. Making students responsible for choosing a piece of work to be displayed in their individual space on the bulletin board encourages students to reflect on their work. 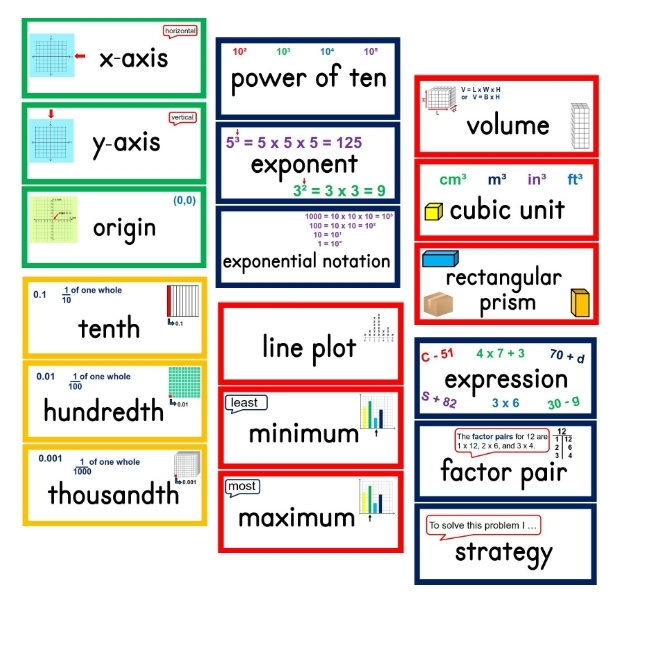 For more classroom environment ideas see this page on setting up an interactive math word wall and this page on math anchor charts.